The trouble, answering can be a difficult task. No one wants to seem basic by rattling off the names of places covered ad nauseum by the national press (did you know Franklin Barbecue has good brisket?). Every proud Austinite wants to give visitors a taste of what makes our city — and our state — unique. That’s why we took care of the hard part. From chicken fried steak to tacos, the below restaurants offer first-time visitors a taste of quintessential Texas eats. Each is a big reason, we’d call no other place home. With two restaurants named after Angelina Eberly and the fixation on Waterloo, the Austin restaurant scene is full of nods to Lone Star history. Chef Jesse Griffith’s supper club menus are a full dissertation, quietly exploring the various immigrant traditions that form the heart of Texas while rediscovering ingredients like mesquite lost to modernization. Refreshingly, the traditional leanings never get the best of the cuisine. The wild boar confit may reference generations of Texas Hill Country cooking, but it has touches like fermented greens and Thai basil that make it very much of today. Look, putting on a good brunch isn’t exactly rocket science. Give most folks a slab of bacon and a carafe of mimosas and they’ll think even the most ramshackle place is Chez Panisse. Still, Callie Speer has managed to set her restaurant apart from the fray by putting an Austin punk spin on this most gentle of bacchanals. 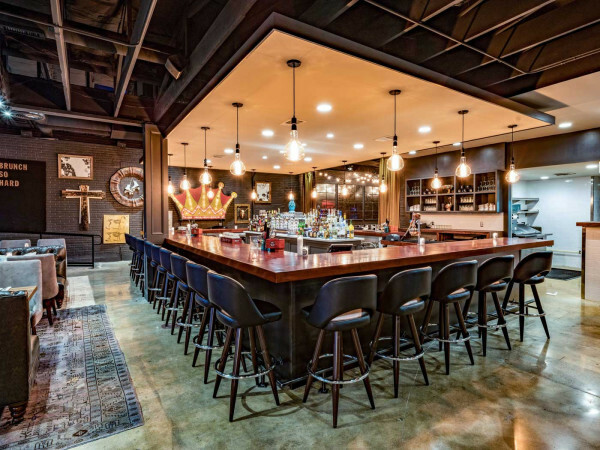 The decor is full of reference to the ghosts of party’s past — the blinking crown sign from Club de Ville, a pair of Texas Rollergirl skates — and the drinks pack the requisite punch. Plus, Speer has managed to find one of the horcruxes of the Capital City in the migas kolache, a beastly pastry topped with shoestring potatoes, fresh jalapeños, and — of course— plenty of queso. When the Frisco, the last location of the once prominent Night Hawk chain, shuttered in July, Austin didn’t just lose a restaurant. The Frisco's shutter meant an end to the old way of doing things, when restaurants worried more about serving good, honest food than being a part of the buzz. Thankfully, there’s at least one spot in town where that spirit lives on courtesy of Hoover Alexander. At Hoover’s, guests never have to listen to a server explain a dish and its approach to plating begins and ends with a ladle. But the restaurant’s giant chicken fried steaks are the essence of Texas cooking. If a catastrophe drove every Austinite to underground bunkers, we would still be arguing who made the breakfast taco. The fact is, they’re all pretty great. But what makes Juan in a Million singular isn’t just the famous Don Juan El Taco Grande, a tortilla colossus filled with potato, egg, bacon, and cheese. It’s not even in the bric-a-brac of photos and news clippings that remind customers how many countless people have eaten that same meal before. Many Austin joints have monster tacos and a handful still have that palpable history, but only one place has Juan Meza, who greets each customer with a firm handshake as they walk through the door. No other Texas food attracts so much debate as smoked meat, with online warriors endlessly debating the authenticity of barbecue like it’s some rare Roman coin. But as much as we respect the heritage of Central Texas meat markets, we are just as excited about what’s to come. This trailer operating out of Cosmic Coffee + Beer Garden is the future, melding the pit wisdom of the joints that came before it with the increasingly global focus of American cuisine. 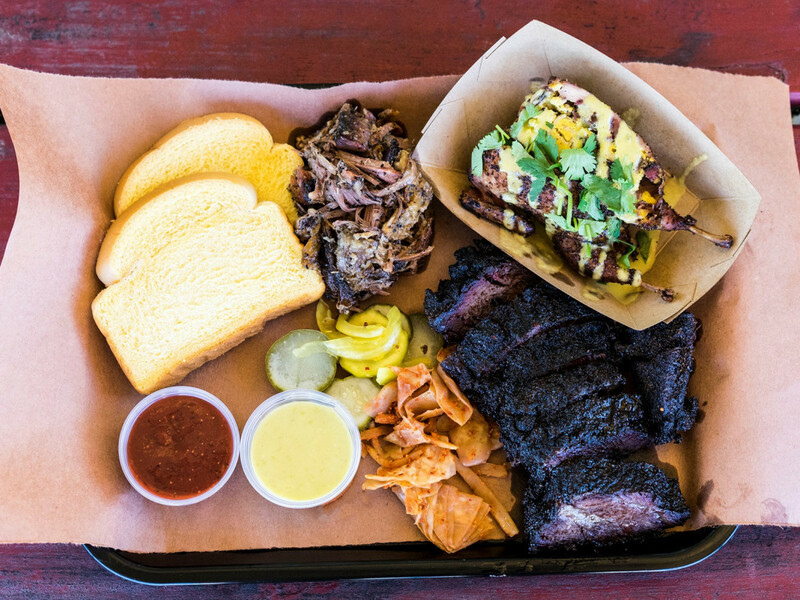 Depending on the day, everything from barbacoa to kimchi fried rice is served on Austin’s signature pink butcher paper-lined trays, and, of course, that time-honored brisket bark. Like the cuisine itself, the best Tex-Mex joints seem to flower organically, each successive generation putting their own stamp on a living tradition. Although this East Sixth Street haunt is not the first Austin restaurant to bear the Tamale House name (it opened in 2012), it comes from the same family that made the original a legend and somehow seems like it has always been there. 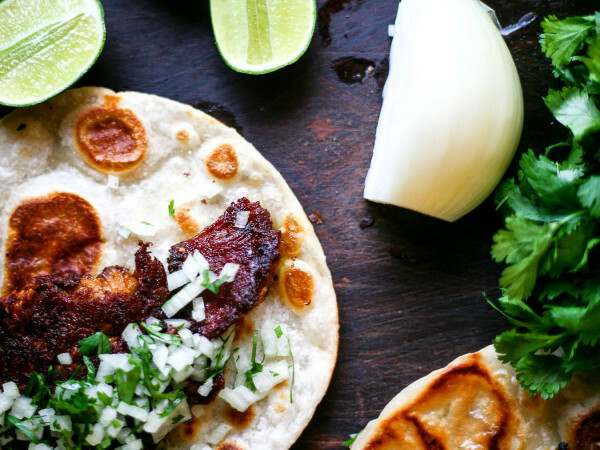 The food — guacamole chalupas, gooey enchiladas, and chicken mole tacos — is just as timeless. 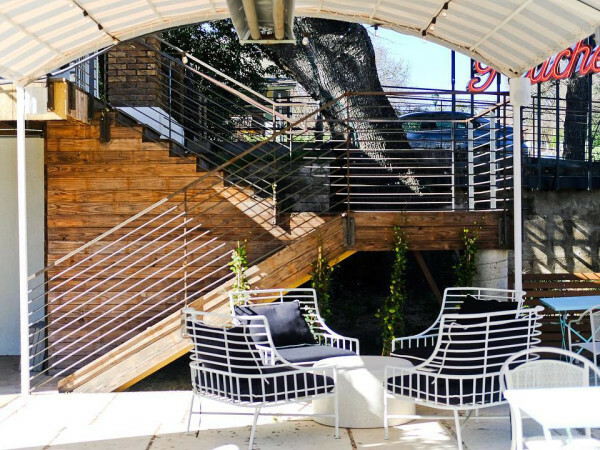 Skip the main dining room and sit in the lush courtyard with a mandatory margarita.